Delcor, Inc has been serving the eastern North Carolina area since 1970’s. Delcor Inc has been a trusted HVAC and Plumbing contractor for over 4 decades. Over the years, we have built a strong reputation in the area for our professionalism and commitment to quality.Our service professional family has grown through the years without losing touch with our community. Our business is to provide the best in heating, cooling and plumbing, to include other specialties such as water heaters, sewer systems, air quality and clean water filtration systems. Our technicians are highly trained and skilled to serve all of your HVAC and plumbing needs. We complete projects on schedule and efficiently to save you from further inconvenience. 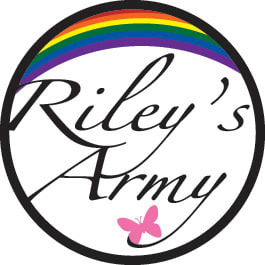 The mission of Riley’s Army is to provide support to children with cancer and their families in Eastern North Carolina: - organizing volunteers to provide individualized support for the family to maintain a healthy home environment; - providing educational, financial and logistical support for the children and family as they navigate along the difficult path of childhood cancer treatment; - facilitate efforts of existing service organizations, churches and individuals for pediatric cancer patients and their families; - raise awareness of pediatric cancer and advocate for patient centered care. The 7th Annual Teed off at Cancer Charity Golf Tournament will be held on Friday April 12th 2019 at the Greenville Country Club with an one flight starting at 10:30 am. Breakfast and registration starting at 9:00. Putt Putting contest at 9:45am. We are excited to kick off the event with a dinner and some entertainment the night before at the Murphy Center at 6:00pm. The Pirate Treasure Night will include guest speaker Mike Houston, ECU's new football coach, and some wonderful music from members of Jupiter Jones. Our emcees for the evening are Brian Bailey (WNCT), Billy Weaver (WITN), and Troy Dreyfus (Pirate Radio), especially important for announcing the raffle drawing winners. The silent auction provides an opportunity for you to bring home some amazing gifts/products/services! We will use Handbid, the mobile bidding app for our silent auction. Stay tuned for details on how to access Handbid before the event. We are expecting an evening of fun, entertainment and socializing with over 140-150 golfers, their spouses, and community members. As a golfer, part of your registration includes admission to the dinner. For extra ticket information: go to www.rileysarmy.com or eventbrite.com and search Riley's Army Pirate Treasure Night.